We are a leading Manufacturer of tarpaulin aluminum eyelet, tarpaulin eyelet and tarpaulin eyelet brass & aluminium from Mumbai, India. 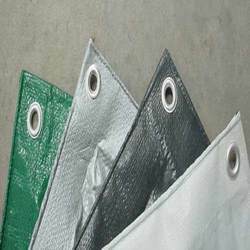 Our firm specializes in offering an excellent range of Tarpaulin Aluminium Eyelet. 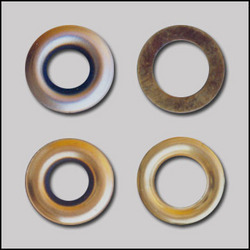 These eyelets are extensively commended for their faultless polishing and lightness. To maintain industry defined quality standards, the entire range is manufactured using quality proven raw material and latest technology. Also, the entire range is examined properly by our well trained quality controllers upon distinct parameters of quality. Our clients can avail from us highly durable range of Tarpaulin Eyelet, which is fabricated in accordance with international standards. 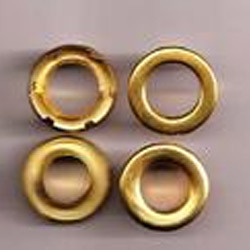 These eyelets and grommets are incorporated with washers for tarpolin and truck covers. Quality assured raw material is procured from the most venerable vendors of market, for our products. Owing to their sturdy built, optimum durability and compatibility with other components, these are highly acclaimed by our esteemed clients.